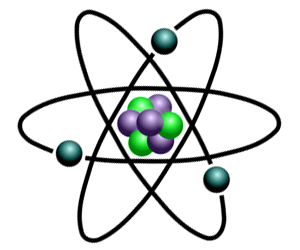 The definition of Atomic Mass (Atomic Weight): Atomic mass, or atomic weight, is the average mass of atoms (protons and neutrons) of an element, calculated using the relative abundance of Isotopes in a naturally occurring element. Some of the Periodic Table names of the symbols of elements are derived from their names in the Greek, Latin or German languages. The elements with Greek of Latin names are the oldest elements known and the element symbols were allocated when these classic languages were those used by ancient scholars. There are only ten elements whose element symbol names are not immediately apparent. Learn these origins of names and symbols and the Periodic Table with Atomic Mass becomes easier to understand! We hope that the information on this page illustrating the Periodic Table with Atomic Mass will prove to be a useful resource for chemistry students.